Children’s identity depends to a large extent on how well and how often they talk to themselves. They learn this important skill when caregivers take time to talk with them about everyday activities and routines. Together they reminisce about things they enjoyed doing or people they were happy to see. They help children anticipate what’s happening in the near future and what preparations need to be made. They use words to talk about the child’s behavior, and make suggestions about how to change what they are doing to be more successful in achieving their goals. 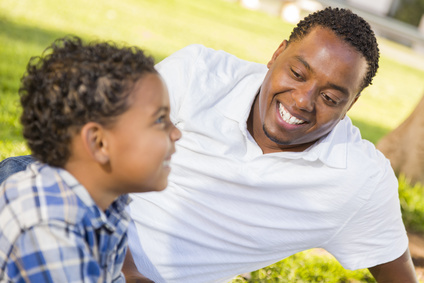 When parents model this type of internal dialog, they increase their children’s capacity to learn by providing them with a large vocabulary, teaching them to use language to monitor their behavior, and encouraging them to think in a sequential manner that positions events in the past, present, or future. This fosters a coherent sense of self, as well the ability to observe the same experience from various perspectives. With enough practice children eventually, continue this dialog with themselves, using it to monitor their behavior, and prepare for upcoming events. The disruptive nature of interpersonal trauma inhibits the development of these important skills. Caregivers who are incapable of forming secure attachments seldom engage children in the on-going collaboration required for the development of internal language. As a result, children whose attachment pattern is avoidant, resistant, or disorganized show deficits in areas of linear sequential thought and perspective taking. They are impulsive and generally lack strong self-monitoring skills. Their limited exposure to meaningful conversations with adults result in depressed vocabulary scores, while memories of their “nonnarrated past” produces an incoherent and confused sense of self (Bloom & Farragher, 2011, p.113). Collaborate with children to create a daily schedule. Review it together to identify any materials or preparation that may be needed for upcoming events and activities. Review the schedule at the end of the day, using it as a springboard for discussion of things that went well, problems that came up, new interests that developed. Encourage children to write notes to themselves. The notes can be reminders of things they want to do, or reflections about things that happened to them or that they want to think more about. Engage children in frequent conversations about what you are planning and thinking about. Encourage them to do the same. Classroom discourse matters. The language teachers’ use, and the opinions they share, help strengthen the neural pathways that are responsible for children’s concept development and higher order thinking. In the case of children with early trauma histories, these classroom experiences increase the likelihood of their participation and success. Wondering how that works? Here are some examples. Children with early trauma histories have trouble with anticipatory set and sequence. Their lives are often chaotic and lack predictable routines. As a result, they are anxious about “what comes next”. They struggle with following multi-step directions and responding to questions in a logical order. When teachers use sports-casting or forecasting to talk out loud about upcoming events, or the steps required to complete a task, they help children strengthen the neural pathways needed to understand sequential thought. Their anxiety is reduced and their ability to order information in a logical manner improves. When teachers use the context of an experience to label the feeling or emotion associated with it, they help children learn to interpret their physical reactions based on the context in which they occur. This is an important skill for children for whom any type of arousal triggers the “flight, fight, freeze” response. They don’t know that different experiences evoke similar bodily sensations. Or that the meaning of the sensations are defined by the context in which they occur. Increasing children’s ability to name feelings and emotions helps them tolerate increased arousal during safe, enjoyable activities. They are able to participate without experiencing overwhelming fear or dread. Self-talk is another powerful strategy teachers can use to increase the participation and success of children with early trauma histories. Adults use this strategy all the time. It’s the internal dialog that reminds us to pick up groceries for dinner, or refuse that cookie when we are trying to lose weight. This inner voice keeps us on track, and is an effective tool for reaching our goals and avoiding self-destructive behaviors. Let children observe you “talking to yourself”. Instead of internally reviewing how you’re going to set up an activity, do it out loud. Each time you let them in on these “private conversations” you build their capacity to use the strategy themselves. So let them hear what you say to yourself to revise a plan that’s not working, or to encourage yourself to try again! There are no limits to how you can model the use of language to monitor and control behavior! We all know that our memory plays tricks on us. We smell bread baking and we are back in our grandmother’s kitchen engulfed once more in the cozy warmth we associate with her. Or we have a “déjà vu” moment when we feel we are reliving something that happened in the past. These are benign illusions that comfort or amuse us. They do not threaten our stability or mental health. The tricks played by traumatic memories are more dangerous. Their nonverbal nature makes them difficult to remember or talk about. Instead, they are stored as symptoms of physical or mental distress that over time become habitual and self-destructive. It is not uncommon for children with early trauma histories to perceive themselves as incapable of acquiring the social competencies their peers take for granted. They can’t imagine a day without anxiety, fear, or misunderstanding. It’s “just who they are” (Fisher, 2003). Helping children move beyond the limits imposed by the traumatic sensations stored in their bodies is not easy. It requires teaching them how to take a step back from the intensity of their feelings, and learn how to observe or witness how they are behaving. Most children acquire this “objective sense of self” as toddlers when they begin to use ‘self-talk’ to direct their activity and get their needs met. 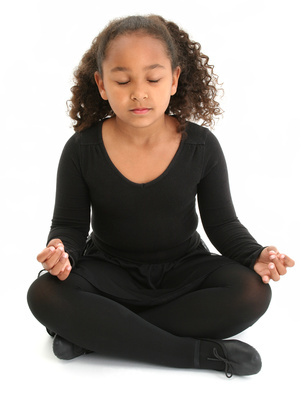 Older children need the support of mindfulness exercises like breathing techniques or meditation to increase self-awareness and create opportunities for change. With enough practice they can learn to “uncouple” common triggers like sadness or disappointment from the crippling terror that is the legacy of an early trauma history.